New Yorkers... get ready for some serious awesomeness! 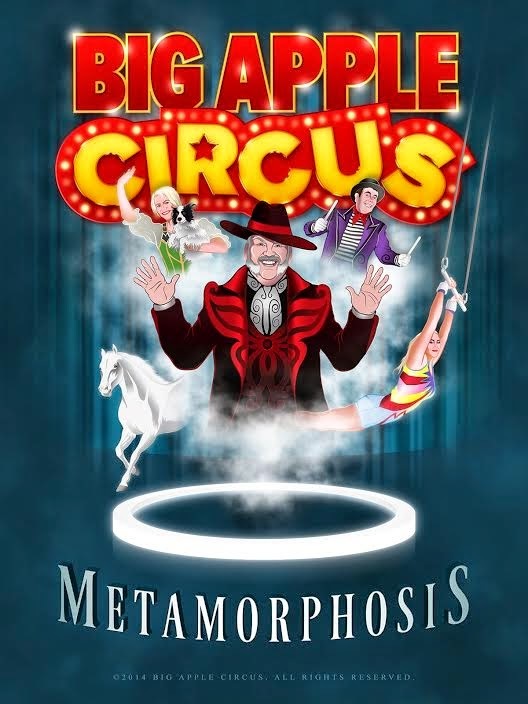 From October 17th until January 11th, The Big Apple Circus will be in town for its annual engagement under the Big Top at Lincoln Center's Damrosch Park with its all-new show, METAMORPHOSIS! Performers from the United States, Russia, France, and Mongolia will be coming together to bring you the thrilling flyers of the trapeze, the razzle-dazzle of the rolla bolla, the risky rhythms of the Risley team, camels, horses, elephants, humor, fun, and memories that'll last a lifetime! Aiden and I have always been fans of the circus because there's just something so magical about sitting under the Big Top next to cheering fans, eating popcorn, ooh-ing and aah-ing, sitting at the edge of our seats and watching performers literally defy the laws of gravity... whew! And we'll be hanging out under the Big Top on opening night, which is Friday, October 17th to do just that -- be in awe. Aiden's really excited and, since I've mentioned it, he's been asking about it... every... single... day. I just smile and nod and tell him today's not the day. (But what I really wanna say to him is, "Relax, boo." #JustSaying). And, because I love you, I want to share the experience with you and your littles. That's why I'm so happy that the good folks over at The Big Apple Circus have graciously offered to give two tickets away to one lucky Mommy Delicious reader. One (1) lucky Mommy Delicious reader will receive two (2) tickets to the opening night's performance, which is Friday, October 17th a t6:30pm (doors open at 5:30pm). Head over to The Big Apple Circus website to find the answer to the following: The Big Apple Circus is a non-profit organization and does amazing work with several community programs. Name one of the community programs in the comments section below. One (1) lucky winner will be chosen via random.org on Monday, October 13th at 5pm!